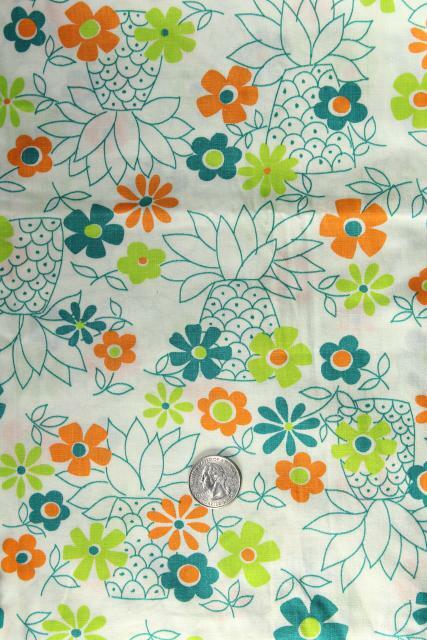 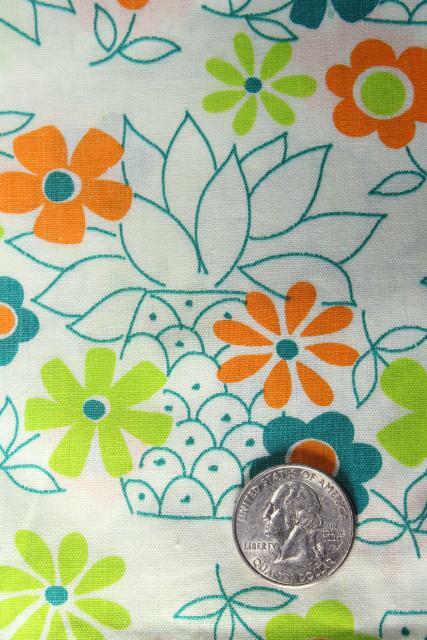 70s or 80s vintage silky smooth cotton shirting with tropical pineapple print! 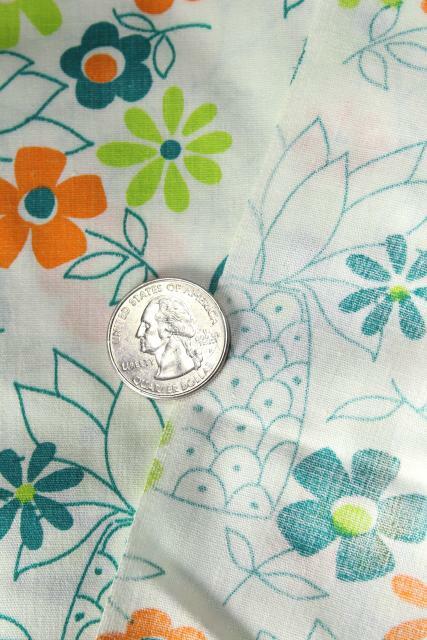 This is not marked along the selvage, though we'd guess it's probably Hawaiian. 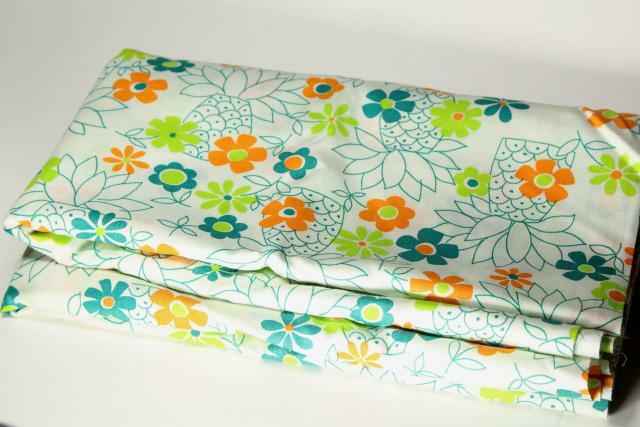 It's 45" wide x 2 1/2 yards, in very nice condition, never laundered.